O’Dea spent 1909 out of baseball and living along the north shore of Lake Superior. The ball club in Superior, Wisc., lured him out of retirement to replace Lew Drill as manager in 1910. Oddly enough, this club, officially the Superior Red Sox, would be the first Twin Ports baseball team the News Tribune called the “Dukes.” It was common practice for sports writers of the era to use a variety of nicknames for ball clubs to avoid repetitious words, and using the manager’s name was a typical nickname. 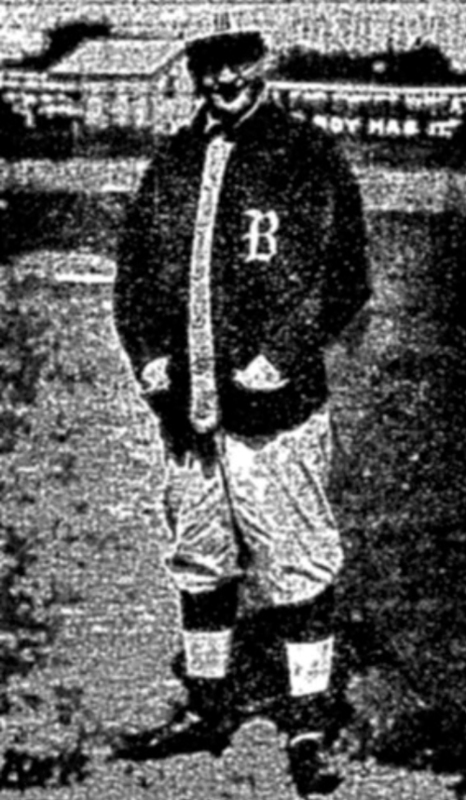 The most famous example is probably the Brooklyn Robins for Wilbert Robinson, who managed the team from 1914 to 1931; the club officially became the Dodgers following Robinson’s retirement. the previous year the News Tribune and other newspapers called the Superior team the “Drillers” after manager Lew Drill. In 1910, because Duke Artie O’Dea managed the Superior team, the local papers called them the Dukes. It was short lived. By 1911, O’Dea was out of baseball for good and working as a St. Louis County deputy sheriff. A Duluth resident for 45 years, he died in Duluth at age 70 in 1946. The next duke in Duluth was Thomas James “Darby” O’Brien of Cleveland, Ohio. 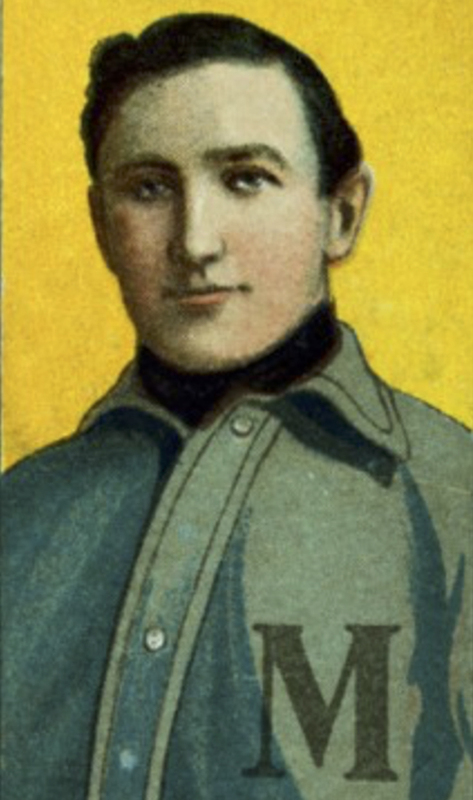 O’Brien joined the Duluth White Sox as their second baseman in 1908. He was promoted to playing-manager in 1909, and retained the role for eight years. He acquired his “Darby” nickname as a youngster when he was the personal bat boy of John F. “Cinders” O’Brien, aka “Darby O’Brien,” when Cinders pitched for Cleveland’s major-league teams from 1888 to 1890. 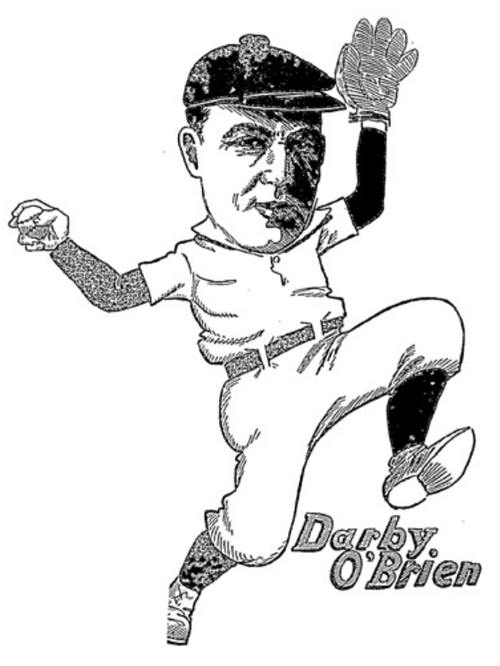 Duluth’s Darby O’Brien was also called the “Dublin Dook,” or just plain “Dook.” For whatever reason, the News Tribune did not take to interchanging “Dooks” and White Sox until 1912. However, once the newspaper established the trend, White Sox players were sometimes referred to as “Dooklets.” These Duluth “Dooks” lasted until the city lost its pro team after the 1916 season. O’Brien continued to manage semi-pro teams in Duluth and Chisholm into the 1920s. He was 88 when he died in 1964 in Bay Village, Ohio. Born in Bowling Green, Ohio, Donald George “Rube” Marion got his start in professional baseball in the Zenith City, pitching for the Duluth White Sox in 1909 and 1910. For two seasons (1914–15) he threw for a combined 15–11 record for the Brooklyn Tip Tops of the Federal League, an ill-fated third major league. Before Brooklyn, and after Duluth, Marion played for Milwaukee. Don Marion, the eminent Duke of Duluth and well known author of ‘Married Life the First Year,’ sunned himself for the Burghers, and let it be said that Don earned his salary with a will. The kid had everything, including his red flannel shirt, the glare of which must have offset the green screen in center field for he had the enemy buffaloed during the total of nine rounds, only five blows being gained off him. Randall was born in Canada in 1880 and moved to Duluth two years later. The outfielder started his baseball career in 1902 with a team in Cavalier, North Dakota. He was traded to Winnipeg in 1904 and a year later sent back to his home town to play for the White Sox, hitting .336 in 67 games. The Sox sold him to Denver the next year. Randall jumped to the majors with the Chicago Cubs in 1907, but had trouble hitting. In June just before a game against the Boston Doves (today’s Atlanta Braves) Randall was traded to the Doves for Dell Howard. According to Terry Bohn of the Society for American Baseball research, Randall and Howard “literally exchanged uniforms and took their respective places in the outfield for their new teams.” After the season Boston sold his contract to the Brewers in the American Association. During his first season in Milwaukee Randall hit safely in 23 straight games with a .380 average. Randall stayed with Milwaukee until 1915. Milwaukee sent him to Oakland, but he washed out before the trade deadline and was returned; the Brewers cut him loose. He returned to the Zenith City and signed with the White Sox, but he played poorly and was paid highly and found himself in a Hibbing uniform. Because of the war, there was no Northern League after July 4, 1917. Randall went to work at the Minnesota Steel Plant in Morgan Park and played ball for Riverside in the Twin Ports Mesaba League, a four-team semipro league. In 1919 he became chief deputy sheriff of Hibbing, succeeding another Duluth baseball Duke, Arthur O’Dea. There Randall continued to play ball until 1922. This Duke of Duluth worked as a watchman at the steel plant, living out his days in the Zenith City. Story by Anthony Bush. Originally published on Zenith City Online (2012–2017). Click here for more stories by Anthony Bush.